Block diagram of the construction. A Baja filter pulled apart. The fuel polishing system with the Kia automotive filter. The system with a Racor filter. 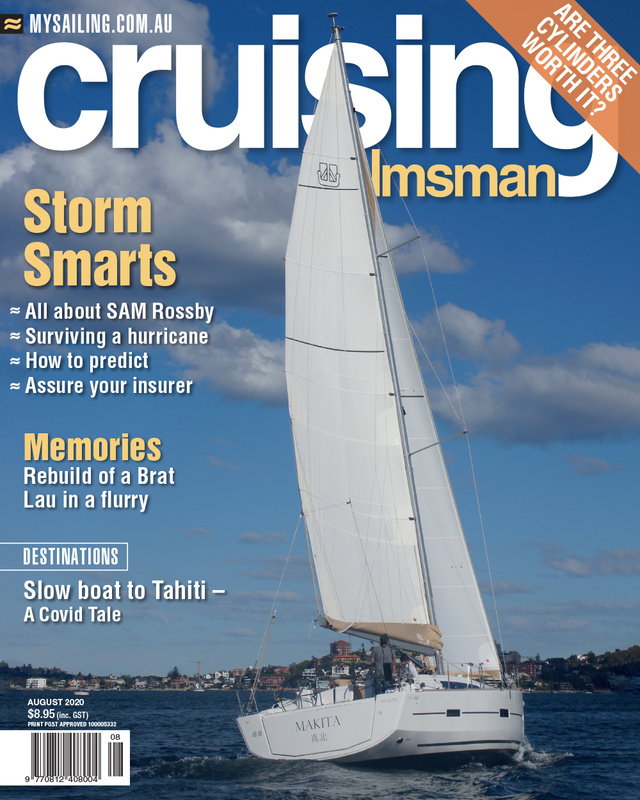 In our early years of cruising, we learned the hard way about how important clean fuel is. I did not worry about the fuel as long as the primary fuel filter looked clean. On one offshore passage, however, the seaways were a bit rough which churned the diesel enough to mix up all the sediment that had been lying benignly in the bottom of the tank. As we motored into a tight marina full of very expensive boats, I discovered how quickly the fuel filters could clog up, starving the engine of fuel. The old adage about aiming for the cheapest boat came to mind, but fortunately we managed to secure a line to a t-dock before damaging anything other than our pride. As soon as we could, we hired a service to clean the tanks and polish the fuel. There was nothing magical about the process. They simply pumped the diesel out of each tank, processed it through a rather large industrial version of a marine diesel filter then discharged it into another tank. They cleaned the inside of my tanks with a wand and pumped the fuel back in, all for a rather outrageous price. Since that expensive lesson, we have been a lot more careful about our fuel and do what we can to prevent contamination in the tank. Our first line of defense is our old reliable Baja filter. This is a three-stage filter that is quite common in the U.S., which looks like a large funnel. The first stages are mesh screens each one coarser than the other. The third stage is a membrane that allows fuel to pass but blocks water. We almost always use it when refuelling at a marina or fuel dock. This increases the time needed to refuel however and there are times when the attendant gets a bit cranky when we insist on using it, especially at a busy fuel dock. Usually we can reach a compromise by using the filter for a minute or two, then doing a quick check of the filters to see whether we are getting water or other contaminants. Only once has an attendant flatly refused to allow us to use it. Even with the best of precautions we still get water in the fuel tanks. I have replaced the O-ring on the fuel cap, thinking this might be the source but that did not eliminate the problem. I suspect it comes from condensation forming inside the metal tanks as the ambient temperature varies. If not removed or treated the water will allow algae to grow, which in turn will clog the filters. To combat this, I built a small fuel polishing system and routinely clean the fuel and tanks. While not my favorite chore, it is now not difficult and I do this annually, or any time I see any signs of sediment build-up in the primary filter. As we travel to more remote areas, fuel docks become rare and ‘jerry canning’ is the usual method of obtaining fuel. A notable instance was in Ushuaia at the southern tip of Argentina, where fuel was rolled down to the jetty in rusty 55 gallon drums. We were rafted up with four other boats between us and the jetty. The process was to carry the fuel cans across the other four boats, siphon fuel out of the rusty drums, lug them back one at a time to Nine of cups and decant them. After repeating the process for a total of about 48 trips, I was definitely ready for a beer. When I decant diesel from fuel cans, especially when it is as suspect as that fuel in Ushuaia, I usually use the fuel polishing system to transfer the fuel. It is a bit slower than the Baja filter, but eliminates any chance of spilling fuel and is probably more effective in removing contaminants and water. In addition, the Baja filter must be cleaned after each use, which takes about 15 minutes and is messy. The fuel polishing system requires no cleaning after each use. The polishing system is quite straightforward as shown in Figure 1. The intake is via a wand that is long enough to reach to the lowest point of the boat’s fuel tank. I use stainless tubing for the wand, but PVC or aluminum tubing would work just as well. This is connected to a diesel filter. I initially used a spare Racor fuel filter but, while in South America, I found I was going through my spare filter cartridges at an alarming rate. They were quite expensive, about AU$25 each, when I could find them at all. I went to an auto parts store and asked for an automotive diesel filter that had inexpensive filters. The clerk was more than happy to spend some time researching options for me and finally found a complete diesel filter assembly for a Kia at a cost of $80 and $6 per filter. The disadvantage of an automotive filter is that you cannot see how much sediment or water has built up in the filter. I found that by periodically checking the flow rate, I could determine when the filter had become clogged. The fuel pump is connected via a switch to 12 volts. I use a standard 12 volt plug for the connection. I mounted everything on a piece of plywood to make it portable. That way I can use it for either of the fuel tanks below, take it up on deck to decant fuel from the fuel cans, or even loan it out to other cruising friends with fuel problems. I use a bolt, inserted into the discharge hose and clamped, then clamp a short hose with a similar plug to cap the intake wand. This seals the system when not in use. To polish the fuel, I try to plan ahead and wait until the fuel levels in the tanks are less than half full. I remove the inspection hatch from both tanks, insert the wand into the one, the discharge hose into the other and start the pump. To begin with, I position the wand so that it is an inch or two higher than the lowest spot in the tank. I monitor the fuel rate and change the filter as needed. When the tank has only an inch or two of liquid left, I get a flashlight out and take a look at what is left. If it looks relatively clean, I continue pumping the tank as dry as possible, then get a bucket and sponge out whatever is remaining. If it is mucky, or there is a lot of debris or water remaining in that last inch or two, rather than consuming two or three more filters I sponge out all the remaining liquid, muck or whatever is remaining. Next, I wipe the entire inside of the tank with rags or paper towels. Hopefully one tank will hold all the fuel. If not, I use fuel cans to hold the excess. The entire cost of the project was about $150, and it rarely uses more than one $6 filter to polish both tanks. This is far less than what it cost to have our fuel polished the one time by a service. In addition, I use it frequently for decanting diesel from my fuel cans.